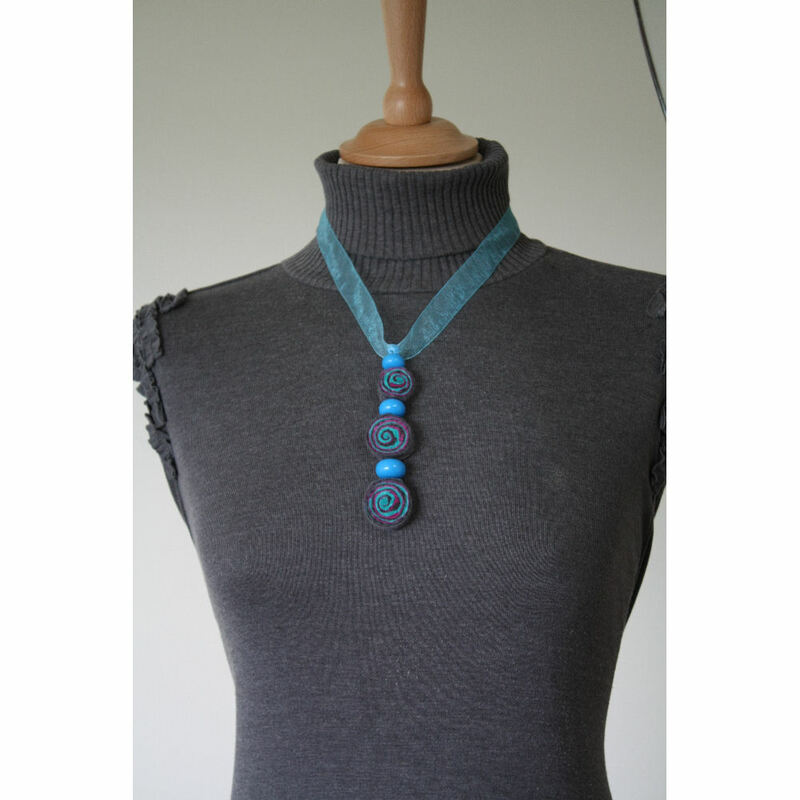 Felt Necklace ” Twirling Turquoise Pendant” Handmade, one off pendant comprising of three swirling felt beads, turquoise beads whcih drop from a turquoise organza ribbon. 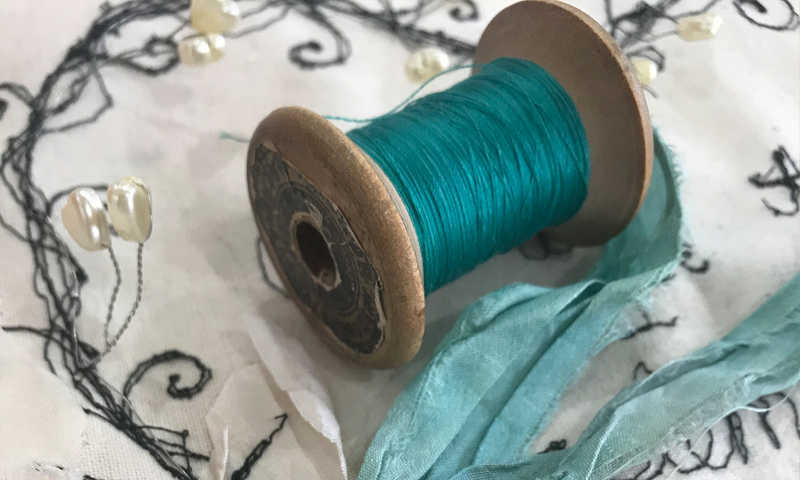 The ribbon can be adjusted to alter the length. This would make a versatile everyday piece, easy to wear with many different outfits, a stylish addition to your wardrobe or the perfect gift for a friend. Approximate length 35 cm. Product code – FN TP ND 0811.